Your investment matters. 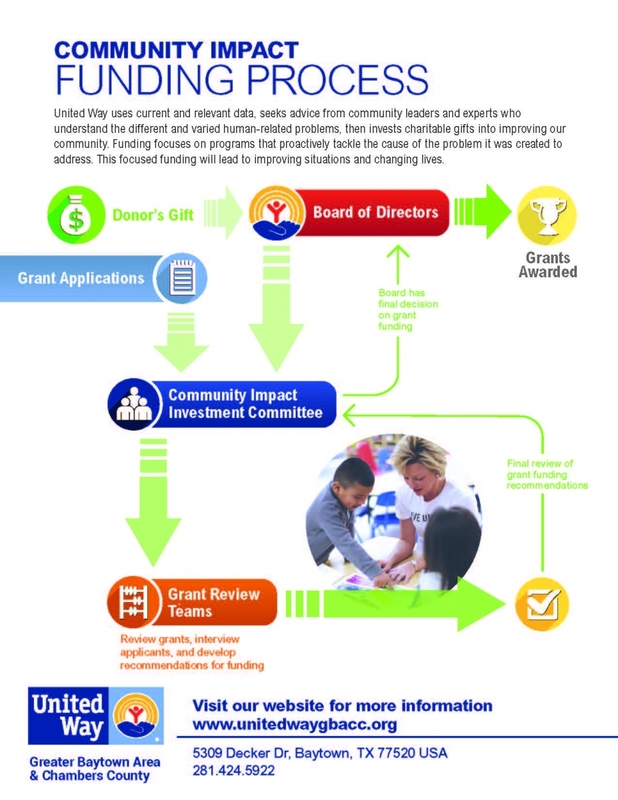 When you give to the United Way of Greater Baytown Area & Chambers County, you are helping us drive real, measurable change in our immediate area; in the neighborhoods where we live, work, and play. Your gift, combined with thousands of others, is a powerful investment in the programs achieving the results. By investing in Education, Financial Stability, and Health, we’re bringing about real change in our community. By choosing to give a gift, you are investing in the community. Your gift will remain local to help those in our communities of greater Baytown area, Highlands, and Chambers County. Your gift will be invested through the volunteer-led funding process. If you choose to designate, please provide as much of the organization's information as possible. Please count my donation with my company's campaign. Are you employed at a company that hosts a United Way campaign? To have your gift counted with the company campaign, please let us know the name of the company.